More than a month ago, Google announced the much awaited Android Wear 2.0 operating system for smartwatches. Alongside, the LG Watch Sport and Watch Style were also unveiled which became the first smartwatches to run Google’s latest smartwatch operating system. 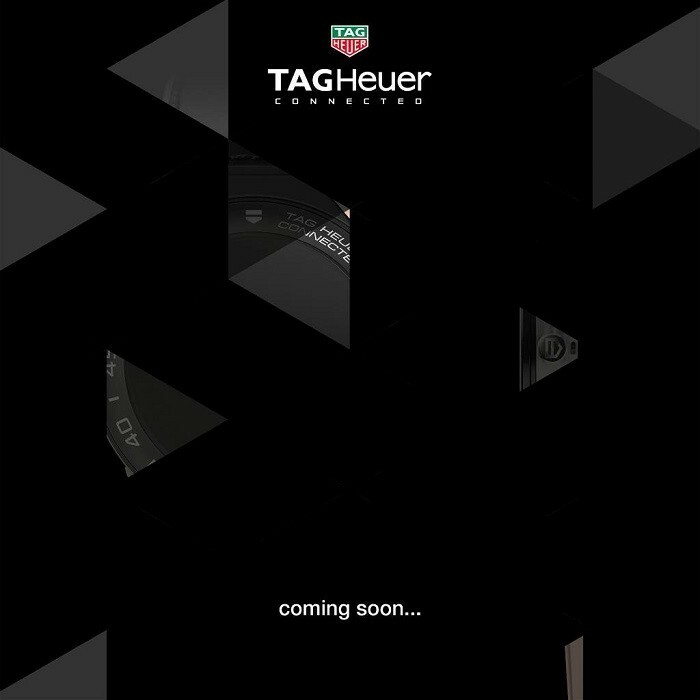 Well, Swiss manufacturer TAG Heuer too is going to unveil a smartwatch next week on March 14. TAG Heuer, which is a known name when it comes Swiss luxury watches, shared a teaser image on Twitter by tweeting “March 14, Stay Tuned… #ConnectedToEternity“. The teaser image doesn’t reveal much about the upcoming smartwatch and all it says is “coming soon…”. Having said that, there had been rumors about the company launching Android Wear 2.0 powered smartwatch called TAG Connected Modular in mid-March. This smartwatch called TAG Connected Modular is said to come with modular straps and might also let users switch between digital and automatic mode. Back in January, TAG Heuer CEO Mr. Jean-Claude revealed in an interview that the company had sold 56,000 units of its first smartwatch and the company now plans to sell 150,000 units of its upcoming smartwatch. Also, while TAG Heuer’s first smartwatch was priced at $1500, its upcoming smartwatch might be priced higher given the fact that it will be modular and would come with features like GPS which were missing from the first Connected smartwatch. As of now, there’s no information about the pricing or specifications of the upcoming smartwatch, but, we need not wait more as the unveiling is just three days away.